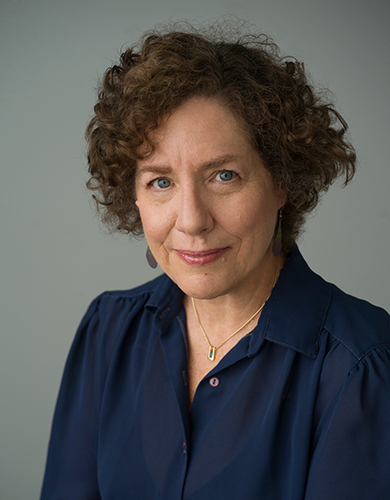 Elaine Weiss, author of The Woman’s Hour: The Great Fight to Win the Vote, will visit WKU April 29-30 to kick off a yearlong celebration of the 100th anniversary of the 19th Amendment. Weiss will spend time with students in the classroom during her two-day visit and will present the Boyd-Lubker Visiting Scholar Lecture at 7 p.m. April 30 at the Downing Student Union Auditorium. Her visit is made possible by generous funding from the WKU Sisterhood and the Boyd-Lubker Visiting Scholars Program. The lecture will focus on the passage of the constitutional amendment that granted women the right to vote. Copies of her book will be presented to the first 200 attendees at the lecture. The event is free and open to the public. A reception will follow in DSU, room 3020. Weiss is an award-winning journalist and writer whose work has appeared in The Atlantic, Harper’s, The New York Times and The Christian Science Monitor, as well as in reports and documentaries for National Public Radio and Voice of America. A MacDowell Colony Fellow and Pushcart Prize Editor’s Choice honoree, she is also the author of Fruits of Victory: The Woman’s Land Army in the Great War. The WKU Sisterhood is a group of women with shared values who enjoy collaborating to advance the mission of WKU. In November 2018, members voted to provide funding to bring Weiss to campus and to support several programs centered on the celebration of the 100th Anniversary of the 19th Amendment. The Boyd-Lubker Visiting Scholars Program is made possible through a generous gift from Drs. John Lynn and Bobbie Boyd Lubker. The Boyd-Lubker Visiting Scholars Program is designed to share the expertise of the visiting scholar across multiple disciplines at WKU and the recipient is selected to appeal to a broad audience within WKU and the greater community. Partners in the WKU celebration of the 100th anniversary of the 19th Amendment include Department of Political Science, Department of History, Potter College of Arts & Letters, College of Education and Behavioral Sciences, Kentucky Museum and Library Special Collections, and Warren County Public Library. For information, contact WKU’s Department of Political Science at (270) 745-4559.